The surface-mounted door has the same characteristics as the conventional hung door. However, the installation differs. Whereas the frame of hung doors is fixed in the opening (tunnel fitting), that of surface-mounted doors is attached to the masonry. 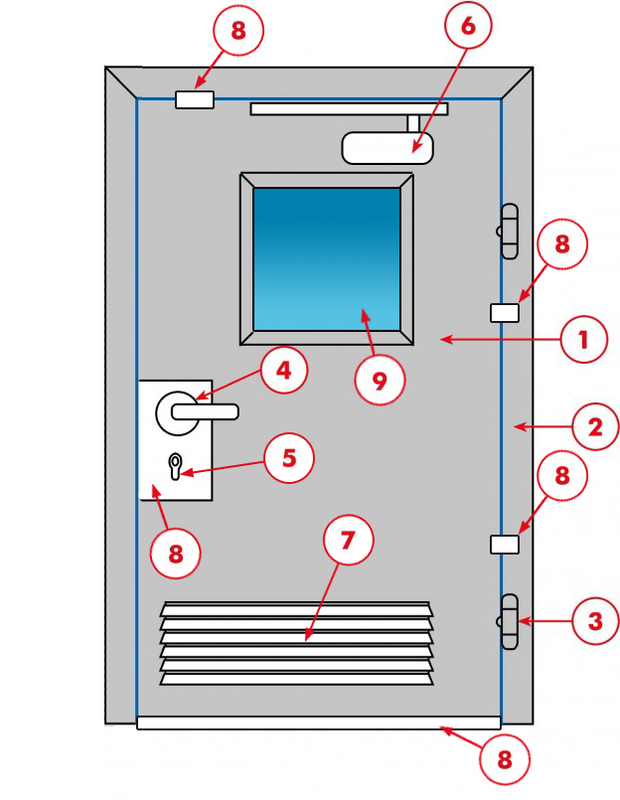 When should a surface-mounted door be chosen? 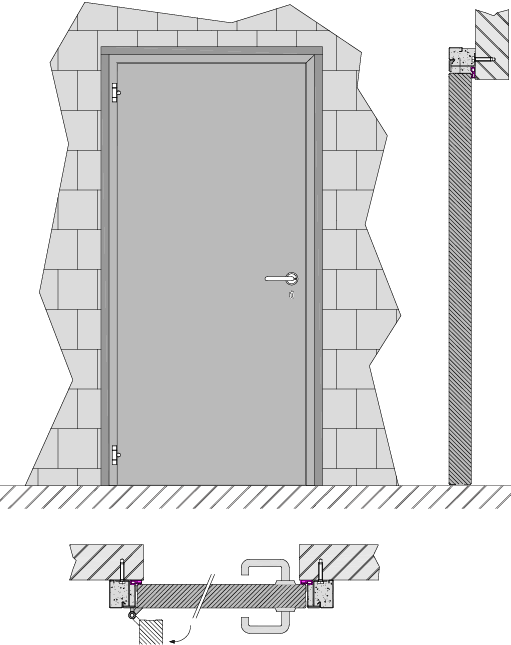 Opting for these doors is useful when renovating a building, for example if you wish to avoid altering the size of the opening but would like to create a wider passage. In fact, a surface-mounted door leaves the entire opening available for the passage. With hinge or sliding arm, fitted on the hinge or non-hinge side, invisibly integrated door closer, closure selectors, open position maintained, etc.